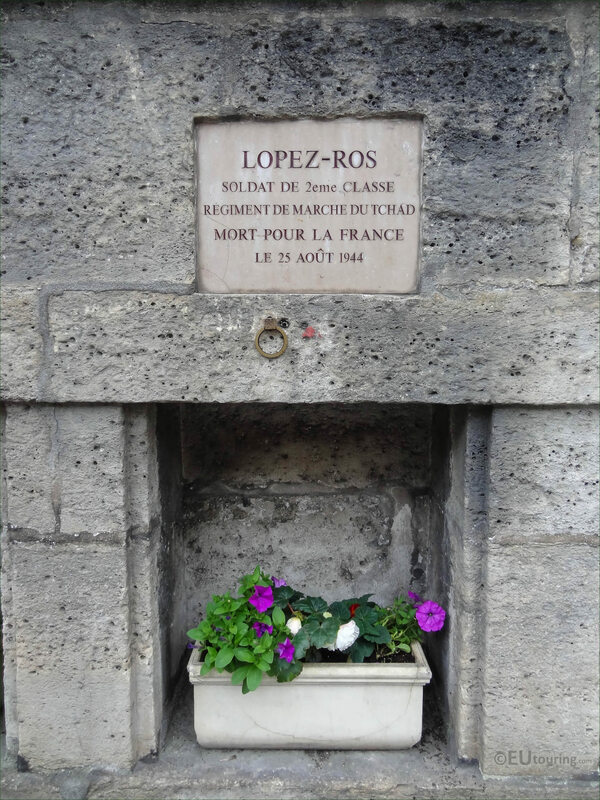 These high definition photos shows a commemorative plaque dedicated to Antonio Lopez-Ros, which is located on the wall of the Jardin des Tuileries facing the Rue de Rivoli, in the 1st Arrondissement of Paris. 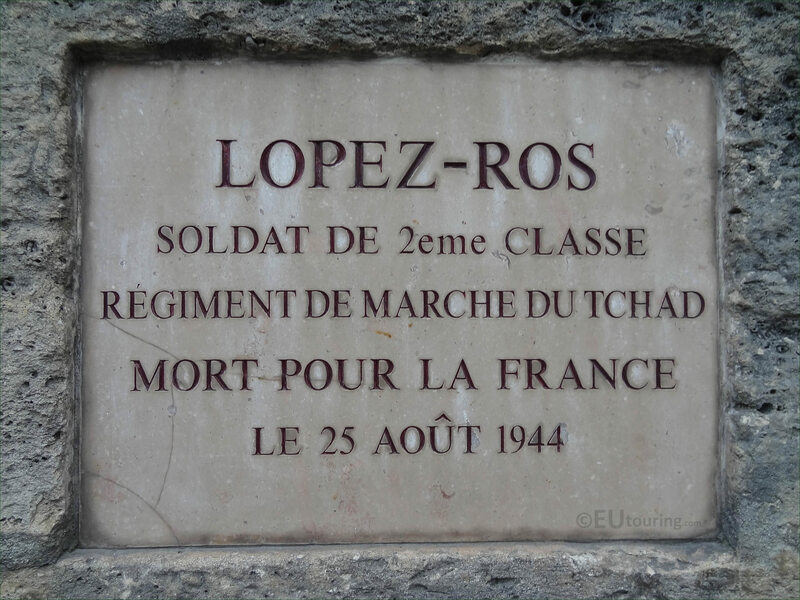 This first HD photo shows a memorial plaque dedicated to Antonio Lopez-Ros who was a Private within the Marching Regiment of Chad, which became a part of the 2nd French Armoured Division, and this young gentleman was of Spanish origin, yet still fought for France and the Liberation of Paris. Unfortunately, he was one of those that were killed during the fighting around the Tuileries Gardens and the Place de la Concorde on the 25th August 1944 and was classed as one of the rescuer soldiers that were deployed to Paris to help aid the Parisians and the French Forces of the Interior, or FFI for short. Yet this next photograph shows a close up of the plaque dedicated to Antonio Lopez-Ros, which is one of ten for this World War II Memorials that can be found on the sandstone wall of the Tuileries Gardens under the Jeu de Paume, by the Place de la Concorde, very close to where the young soldier was killed, the same day that the German Commander Dietrich von Cholitz was taken prisoner and signed the surrender papers.